The classic by America's best known organizer, originally published in 1971. This entertaining book provides plus some of the best advice around for groups whose resources are people rather than money. For a summary see Rules for Radicals. Comprehensive at 421 pages. Probably the best US book for putting the screws on decision-makers. This book is more about winning battles than working with together to build community. David Bornstein, Oxford University Press, New York, 2004. A well-written account of Ashoka's approach to social change. Ashoka identifies social entrepreneurs (people with a vision and the ability to get things done) then finances them so they can pursue their vision. Bornstein provides detailed stories of how this simple approach has lead to large-scale change in many different countries. Rosenberg shows how positive peer pressure and the ability to tap into the need to belong can solve seemingly intractable social problems. She includes many detailed case studies that will be useful to anyone with a practical frame of mind. A great book written by a Pulitzer Prize winning author. Srdja Popovic, Spiegel & Grau, New York, 2015. 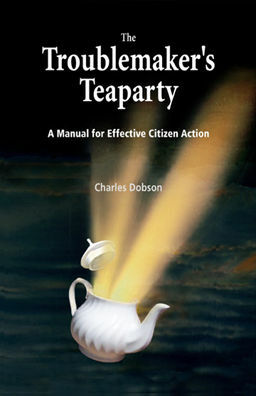 The best book on practical activism in the age of the internet. Popovic was one of the key figures in Otpor! that got rid of the nasty Serbian dictator Slobodan Milošević. The book focuses on creating movements that people want to join because they are fun and focus on the everyday concerns of citizens. Michael Albert, South End Press, 2002. Albert is best known for Z Magazine. Here he has assembled a collection of thoughtful articles on ways to overcome various obstacles to social change. On a number of occasions he criticizes activists for adopting methods that are useless or counterproductive. This small, short-winded book is well-worth its modest price. Si Kahn, McGraw Hill, New York, 1991. Kahn's book is easy to read. Chapters are broken into many subsections each of which addresses a particular question such as What makes a good issue? or How do you get people to come to a meeting? You don't need to plow through the whole book to find material relevant to your situation.